Tasukete Tako-San: Save me Mr Tako, from developer Christophe Galati, is a fittingly odd title for a game with an odd premise. For some reason, war has broken out between humans and octopi, and you play an octopus deserter named Mr. Tako who decides to turn on his former comrades and save the humans. 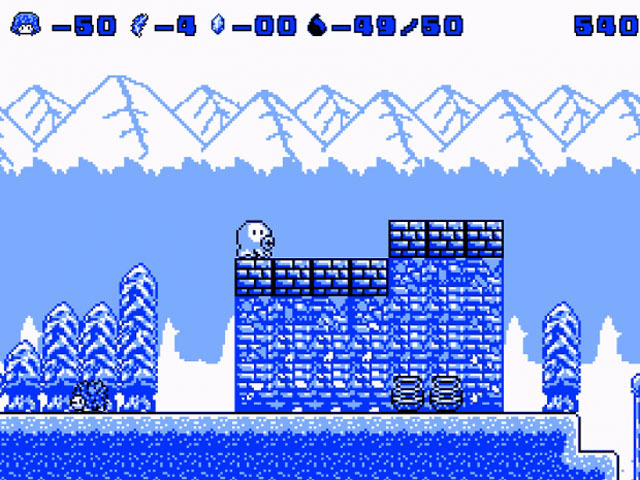 At the start of the game, you can only jump and spit ink to stun enemies and use them as platforms. However, searching the world and discovering treasure chests allows Mr. Tako to find hats that give him new abilities, granting him more health and ink, giving him greater movement speed and jump height, and even giving him access to weapons such as swords, arrows, and bombs. Players run through large platforming environments, attacking enemies, breaking vases to reveal collectibles, and facing off against boss creatures. The game will also feature local cooperative and competitive modes for 2-4 players. The developer plans to release the game on PC in 2016, and hopes to have a Wii U version available as well.